How “cheap” can work pretty well. We snapped some fine images of our 4th of July celebration at our house, which saw our usual gathering of a subset of our family which numbered 17 people. If attendance had included my entire family plus close friends, that number would easily double. Our cheap barbecue that fed the whole lot of us is our basic $80 Weber grill. We love this grill because it works perfectly fine, having been with us for 5 years and has serviced countless get-togethers at our humble abode. And I mean lots. We love it even though it’s been underestimated by many friends who own more impressive $500 and above models. We’ve cooked a lot of protein and vegetables on this thing — from all sorts of meats to poultry and seafood. We’ve grilled a compendium of vegetables and created many delicious healthy dishes with this charcoal based model. We’re proud of our grill, even as many friends and family members sport fancier models, that come across as outclassing what we have. Despite this, don’t think we’re ready for a change just yet. 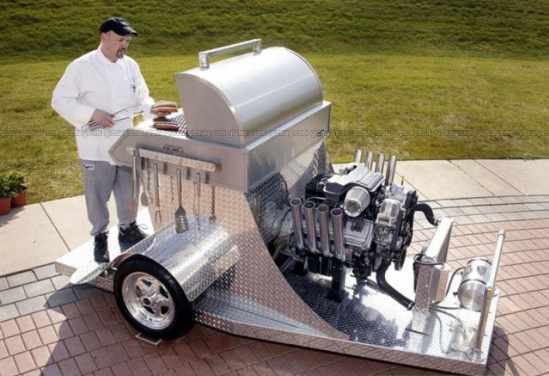 Others may wax poetic about the latest in grill science, but we’re cool with what we have. There have been many opportunities for us to replace what we have but we’ve successfully resisted thus far. All the more reason I couldn’t believe how seriously people took their barbecues. Here’s a look at our $80 Weber, hard at work! Oooh! That’ll impress the neighbors. Any of these beauties grab you? If they do, I’m sure their prices also will! It looks like nothing from this Gizmag would change my mind about our beloved, low maintenance grill that never fails to cook up a tasty barbecue feast for dozens of people. 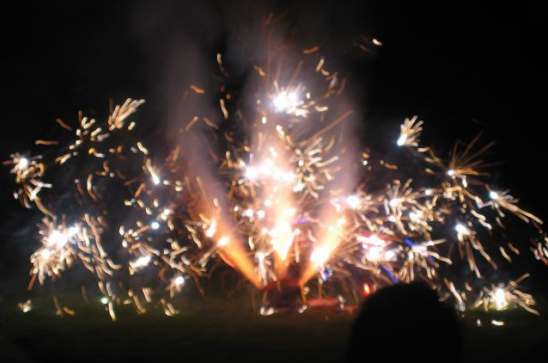 So after our juicy meal of corn, burgers, sausages and hot dogs, we went for the affordable yard firework display of the kid-friendly variety. What could be more delightful than a bunch of excited, screaming kids with hands over their ears? A superb evening, natch! There is no need to upgrade your grill if it is a solid working charcoal grill, especially a weber. Since there are no gas lines, burners, crazy contraptions or anything that grill could last 20 years with nothing more than the occasional cooking grate replacement. As long as you don’t mind cooking with charcoal that thing is perfect. Even when you do decide to get a new one I would again stick to weber, even if you go the LP route. It will cost you a couple hundred more when compared to a POS you’ll find in any hardware store but it will last forever. My parents have had their weber gas grill for nearly 15 years and it still works perfectly. They have only replaced one burner that entire time. All that flashy stuff is nice if you’re doing cooking competitions or something, but if you just want a solid grill that cooks great food it really doesn’t cost very much. 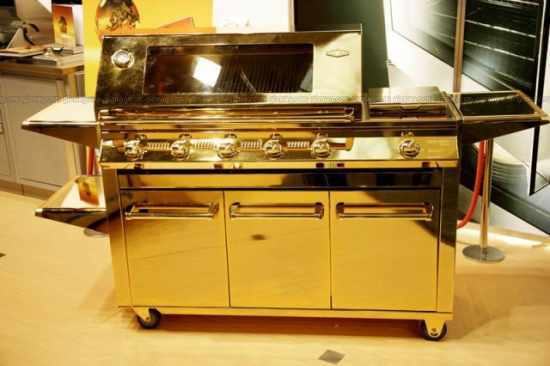 I always laugh at people who spend $1,500 on a huge all stainless steel grill and end up only cooking on it a few times a year. Sure, it looks like a work of art sitting on the patio but the pretty looks don’t make the food taste any better. Right on about the Weber grills. I picked one up at a garage sale a few years ago for $7 and its great condition. My parents just replaced their old weber, similar to the one in the picture, after using it for 20-something years. Buy quality and ye shan’t be disappointed. Also, what are the red things in foil on the grill? I love my Weber charcoal grill. My old man has a gas grill and had to go to the store to get a replacement propane tank for the big feast yesterday. Something wasn’t right with it so we had to make a return trip to the store and swap it out with another tank. During that time, I could have had a good fire going on my Weber rather than him inhaling all of the propane fumes. I use both Kingsford charcoal as well as natural hardwood charcoal depending on what I’m cooking. 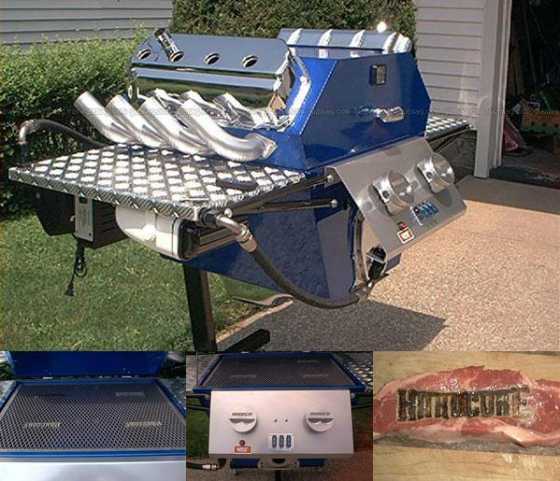 @Jeremy – amazingly, around where I live, people I know love the high end grills. I know a few who’ve egged us on to buy something more hefty. In California, the barbecue pits are like fireplaces: an extra amenity you can tag on to your real estate listing to make your property sound more appealing. 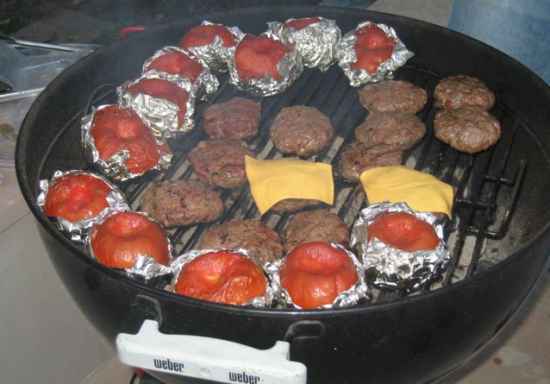 @Jason – Those red things in foil on the grill are TOMATOES! It’s one of our staples: tomatoes with herbs on the grill. YUMMY! @Shawn – For me, I guess it’ll be a case of “if it ain’t broke, don’t fix it”. Plus I get nervous around gas tanks! nummy. i don’t use a weber or charcoal grill on a regular basis, because it just takes too long. i prefer our propane grill, but that’s only for convenience. we have the small one, that you can barely fit two steaks on, b/c we haven’t had room for a larger one in a some time. plus moving so frequently, it isn’t cost effective to have to buy a new large propane tank every time we move. i’m a little dismayed that you only have cheese on two of the burgers, though. The charcoal grill may take longer but that’s what family gossip is for, to entertain ourselves while the stuff gets prepped…. 🙂 Oh and the chips and dip. Cheese was reserved for later batches! Don’t forget sausages and wieners came after and toasted buns. Man, this is getting me hungry all over again! At present time most of the peoples problem is not the grill but filling it with something…..
Well, a good working, cheap, charcoal grill is all you need to have some barbecue fun. That’s all I can say about it 😉 We’ve been thinking about a gas barbecue but then we decided that a lot of the barbecue fun for is has to do with the way of cooking and the flavor of the meat, so we’re keeping ours. Totally agree with you, what fun is a barbecue without the smoke. I have a gas barbecue as well but only used it a few times, maybe I’m just old fashioned but there is definitely a huge taste difference between a gas and charcoal barbecue. I have a Weber. I’ve always enjoyed my basic charcoal grill — it makes the best hamburgers. Cheap is the way to go! i love barbecue. I have a grill from Kingsford but after reading this, I will definitely try one from Weber sometime.